When protecting users from malicious internet sites on servers, we can keep Internet Explorer Enhanced Security Configuration turned on (that’s the default). However, with the setting on, almost no modern website will properly load. The solution is to add these sites you trust to your Trusted Sites zone. 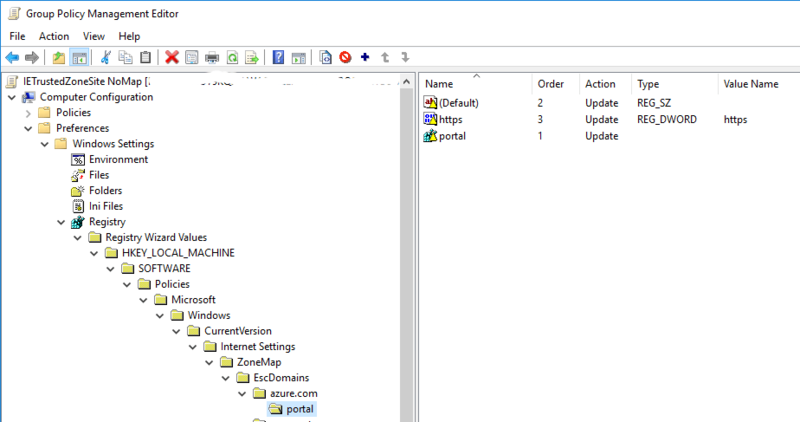 In an enterprise environment, we would leverage Active Directory Group Policy to do this. The way to add specific sites to a zone is well-documented. In short, we use the Sites to Zone Assignment List policy. However, this doesn’t work with IE ESC turned on. This KB article hints at why. Although it says it applies to Windows Server 2003, I’m working with Windows Server 2016. My machine will be a Remote Desktop host and I want to lock it down. 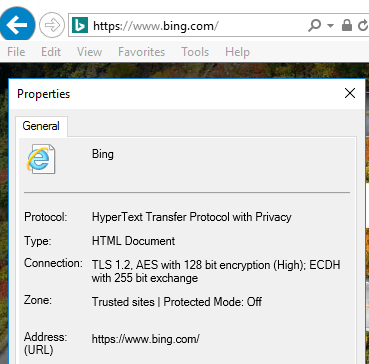 So, how can we keep IE ESC on and allow a specific list of sites to have looser security settings? 1. Apply the Method 2 workaround listed in the KB article above. You may have to create the keys that are not present. The EscDomains key resembles the Domains key except that the EscDomains key applies to those protocols that are affected by the Enhanced Security Configuration (ESC). ESC is introduced in Microsoft Windows Server 2003. One note, this machine also has other Group Policies applied from the Microsoft Security Guidance blog and other policies may change the behavior. Is there a better way? I don’t know, you tell me, comments below. This is the most clearly I’ve seen this issue spelled out, so thank you for the concise explanation of what is actually occurring here and then providing two clear solutions for mitigation! Thanks Wahid! This is an excellent explanation of the options of this really well hidden feature.